Like the sign on the door says: Welcome Aboard! 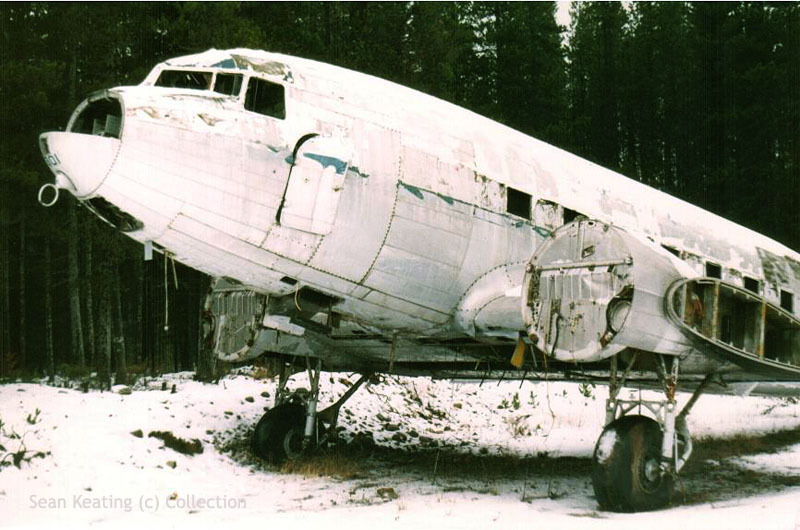 This is Douglas C-49H CF-PWH (c/n 2198) "Spirit of the Skeena" and is actually owned by the Friends of the DC-3 Canada, who recovered it in 1987 from Terrace,BC where it had been used as a spares ship by Trans Provincial Airlines and subsequently abandoned. 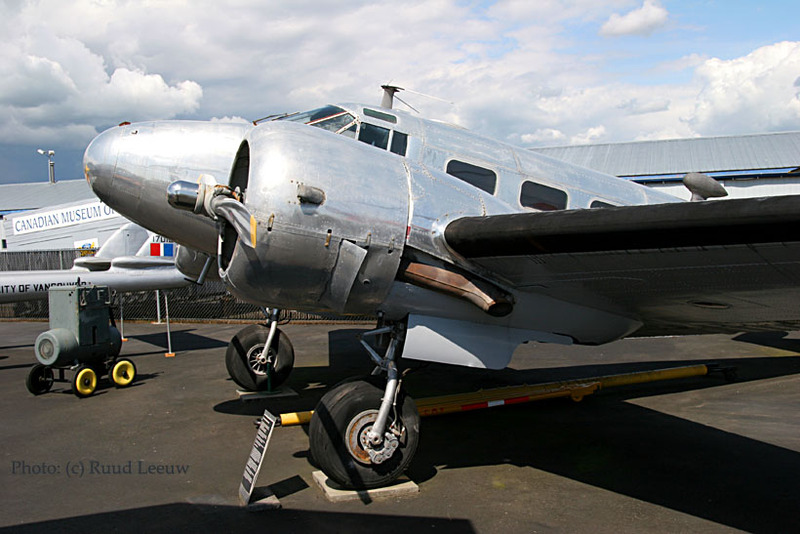 This Classic Airliner was originally built for American Airlines and delivered in Feb.1940. It is the oldest surviving DC-3 in Canada!!! 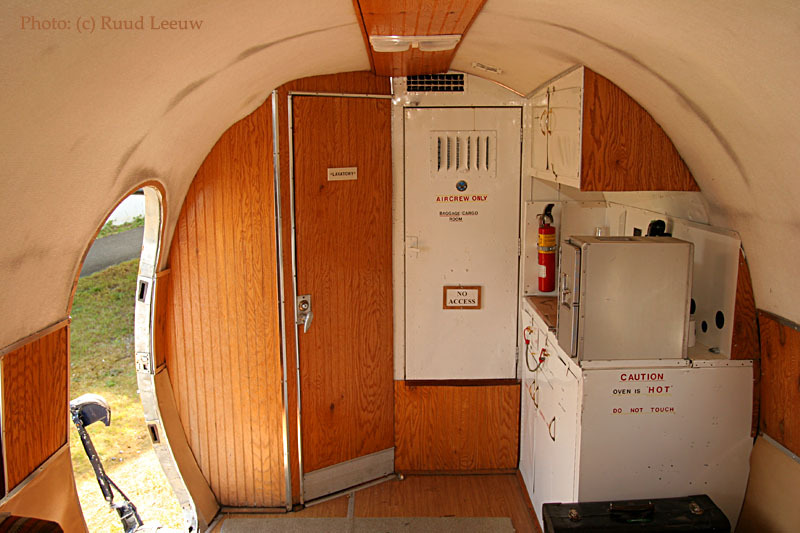 Douglas DC-3's with the (passenger)door on the righthand side of the aircraft are rare; PWH has no cargodoor. 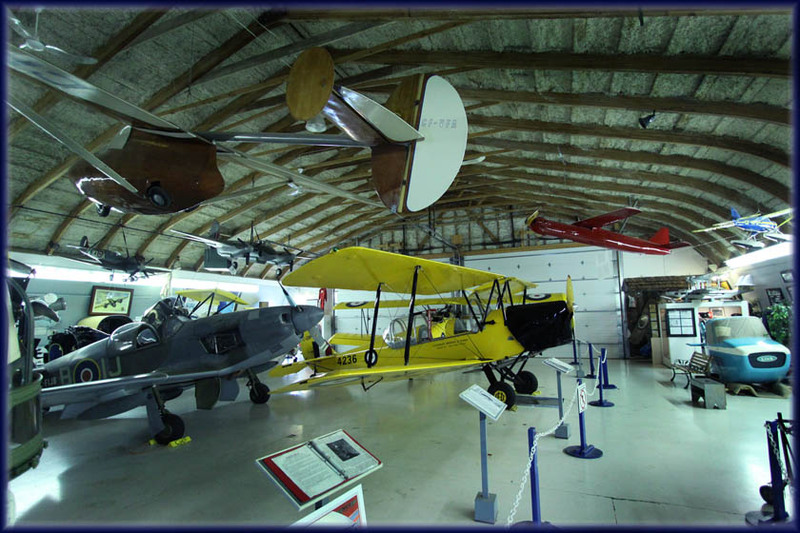 CF-PWH was refurbished by the Friends at Cloverdale and you can see they did a magnificent job!! 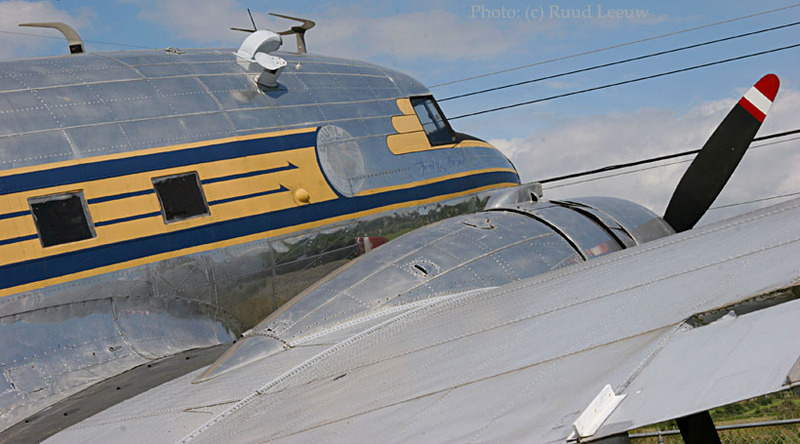 Former identities of this C-49H; NC21793, 42-57506, NC21798 and CF-HCF. 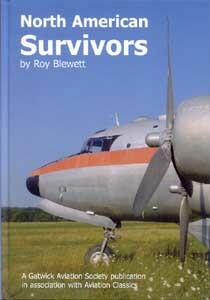 Source: North American Survivors by Roy Blewitt (2005); see also at bottom page. 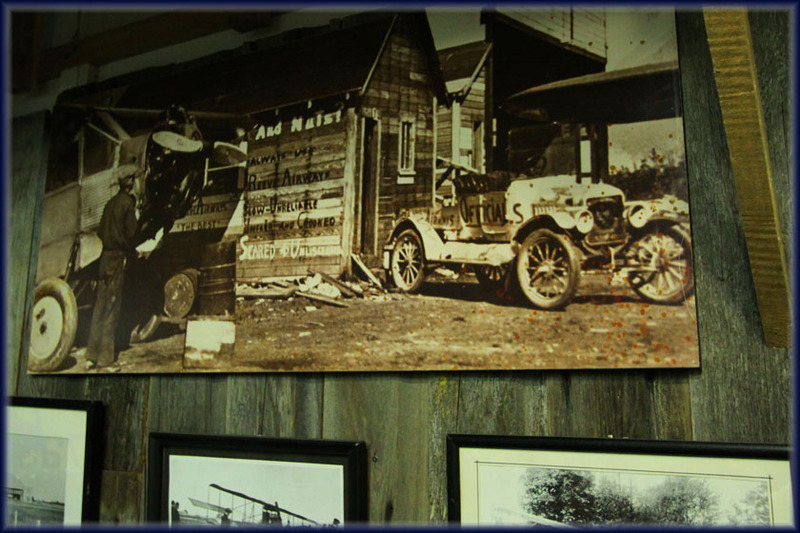 "In 1974 I worked as a wrangler for a guide-outfitter in north-central BC. 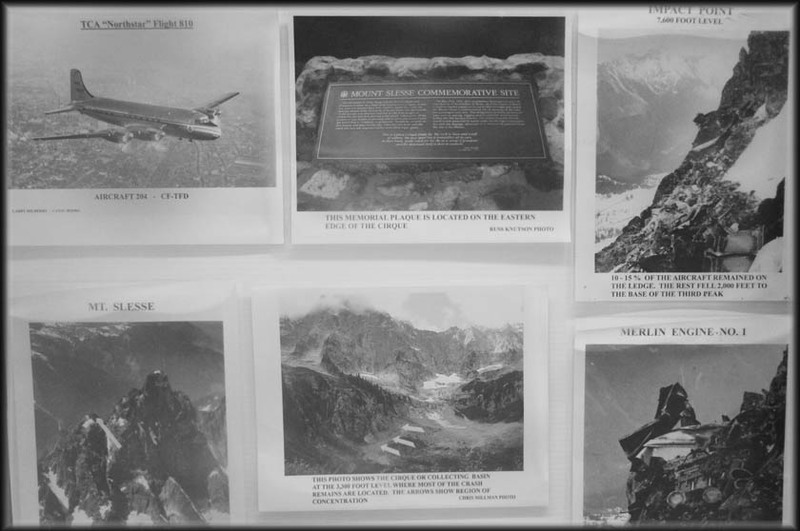 We flew in a DC-3 from Terrace to a place named Hyland Post, with a year’s worth of supplies, then rafted them down the Ross River to the Stikine River where our main camp was located... 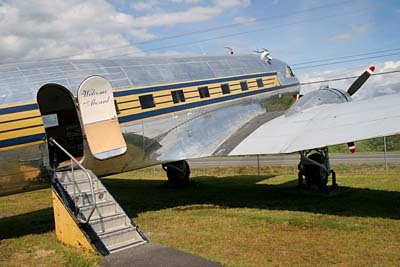 The DC-3 could only have been CF-PWH, which is now parked at the museum at Langley. Weird! I never would have made the connection without your efforts." 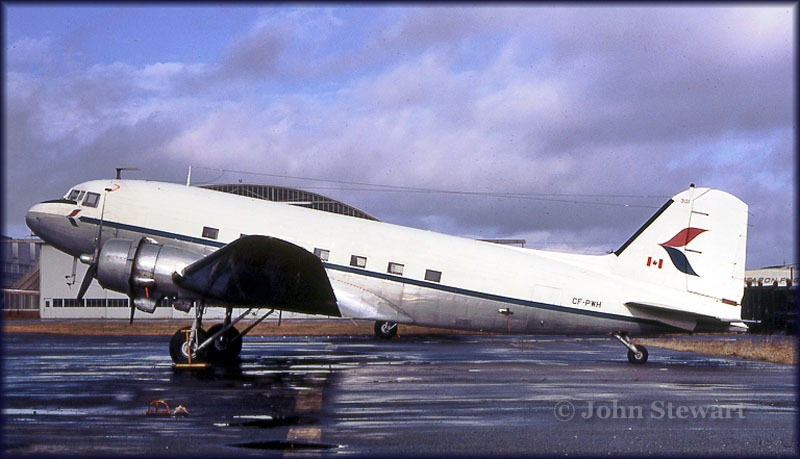 "IIRC CF-PWH was ferried by Sheldon Luck from Vancouver to Terrace in about 1971/72 and was stripped for parts; it never flew for Trans-Provincial as it had no cargo door! My guess would be that it was CF-PWI (going from memory here) that was active with TP in Terrace at that time..."
This Beech is an Expediter 3NMT and its last tailnumber was/is CF-CKT (c/n A-782 / CA-180). It is former military 2307 and was airlifted here in 1984. My visit was somewhat rushed here... I had lost time earlier that day finding Delta Airpark at Boundary Bay and had to fight my way through traffic to get to Langley. So I arrived here at 15:30, only to find that they would be closing at 16:00! 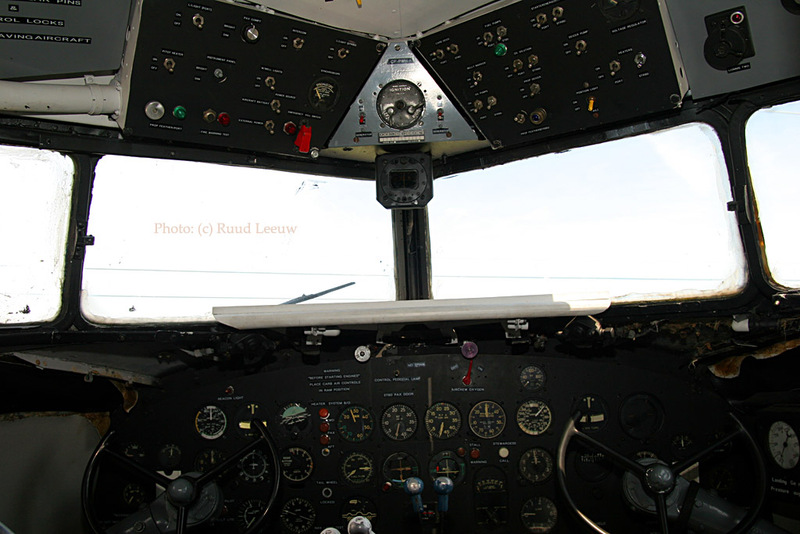 So I concentrated on the displayed aircraft outside and fortunately the friendly staff allowed me some extra time to thoroughly photograph their splendid DC-3. 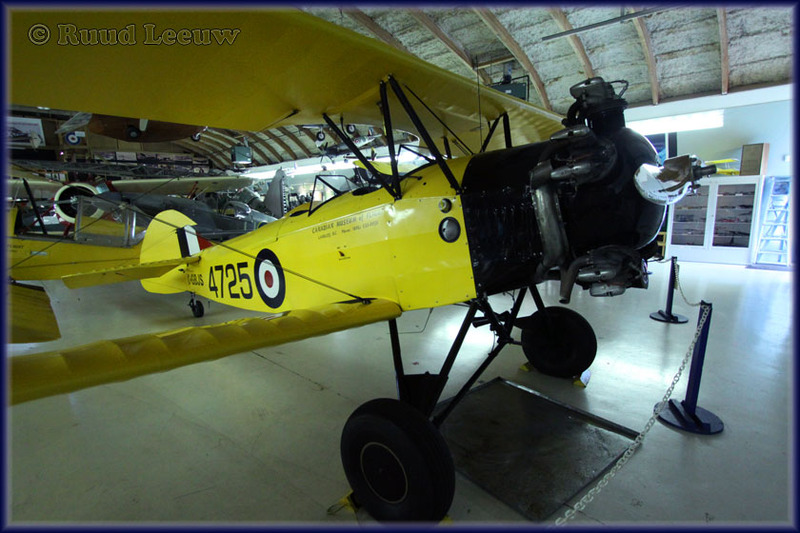 But for the items displayed inside I had no time except a quick photograph of this Waco. Well, it is always best to explore a museum, I find, in a series of visits so no doubt I will be back here. And there is an excellent Greek restaurant here at the airport: another reason for a revisit! 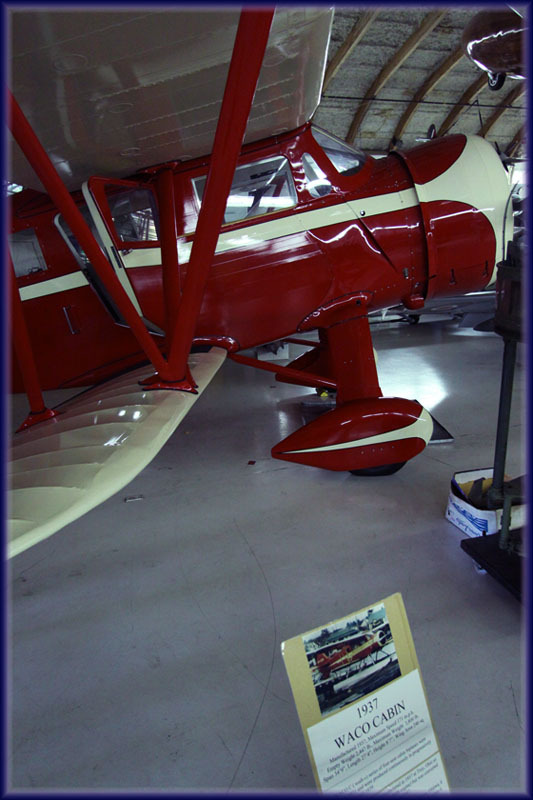 The Waco (wah-co) series of four-seat cabin biplanes were initiated in 1931 and were produced continuously in progressively refined models until 1939. 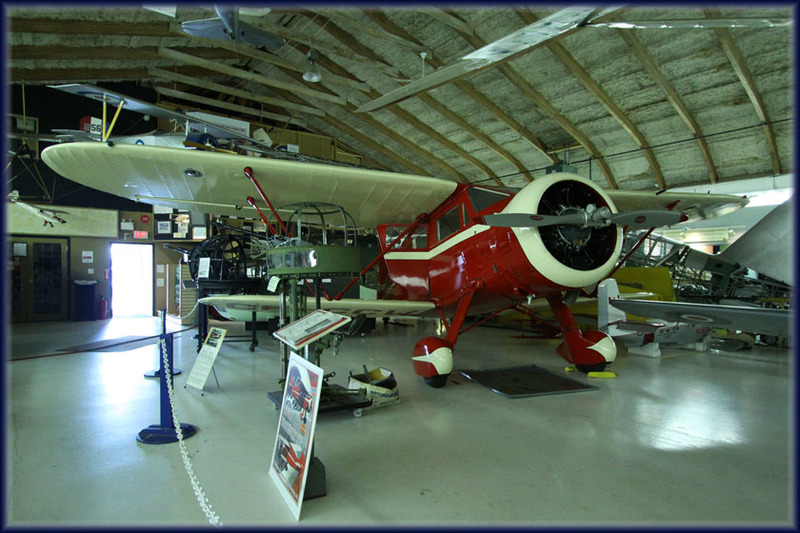 Serial 4646 was manufactured in 1937 at Troy, Ohio as a ZQC-6 model (285 hp Jacobs L-5MB engine) but was converted to an AQC-6 (330 hp Jacobs L-6MB) in 1947. 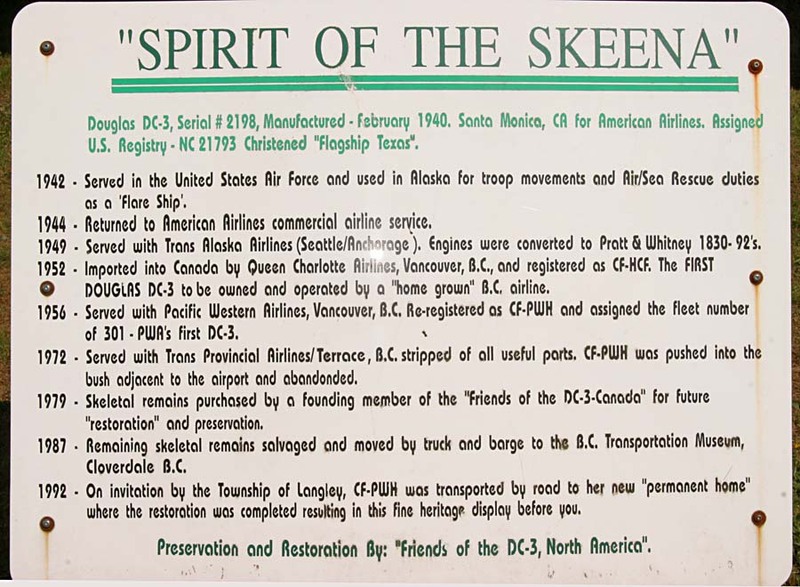 Purchased new by the Department of National Defence, Ottawa, it was operated by the Department of Transport until 1949, when it was moved out to the British Columbia Coast. 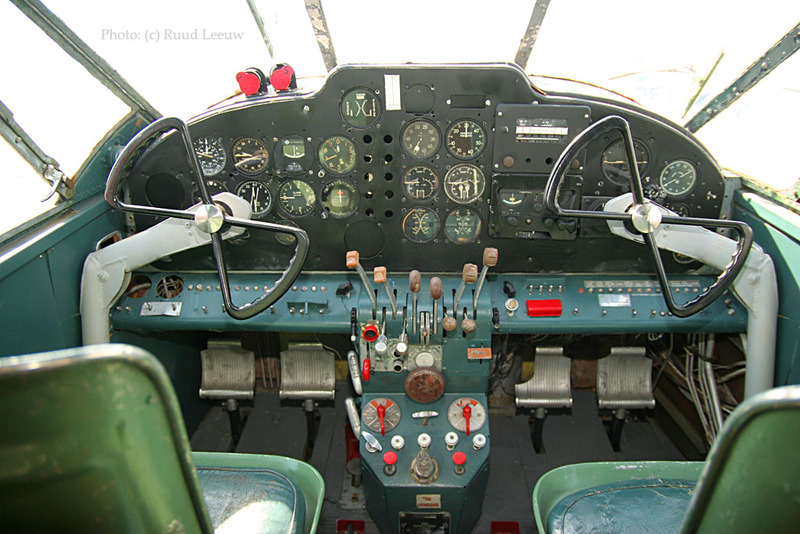 It was operated by B.C. 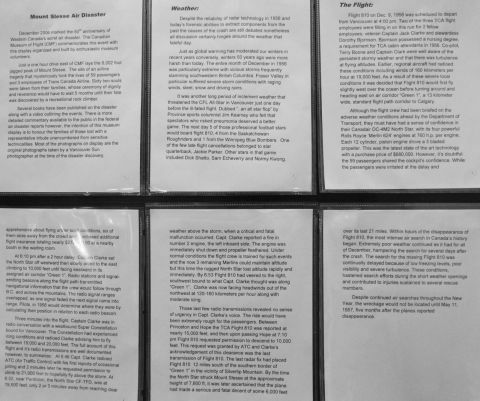 Airlines, then by a logging company. 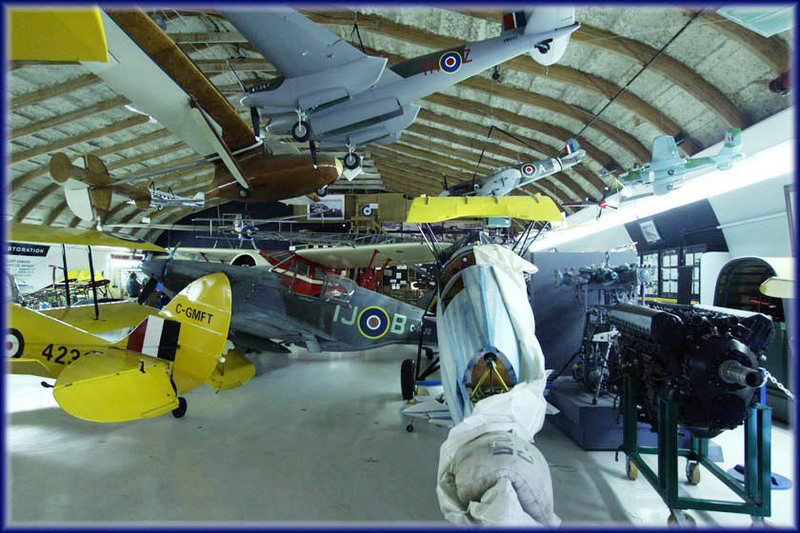 Dr. Jack Pickup of Alert Bay was the next owner, who acquired the airplane in 1953 and routinely used it as a "flying doctor" float plane. 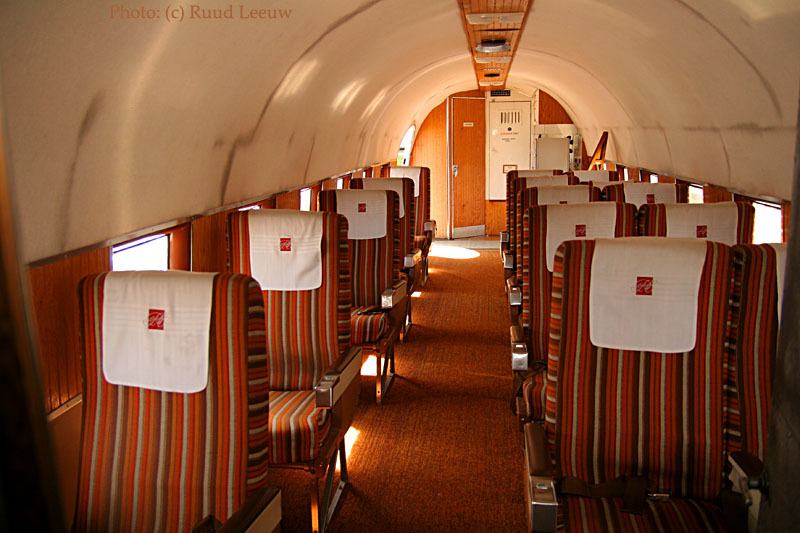 During its long career it suffered several landing accidents. 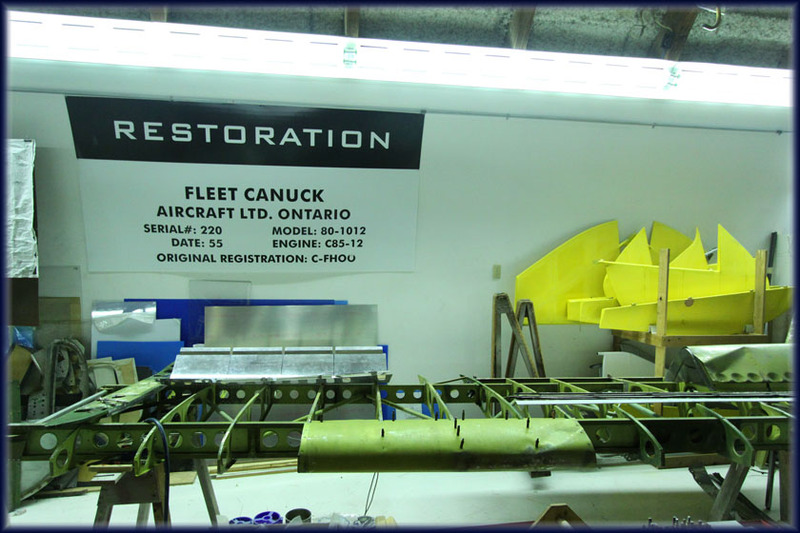 It was donated to the Canadian Museum of Flight in 1980 by Dr. Pickup and is currently undergoing a complete restoration. 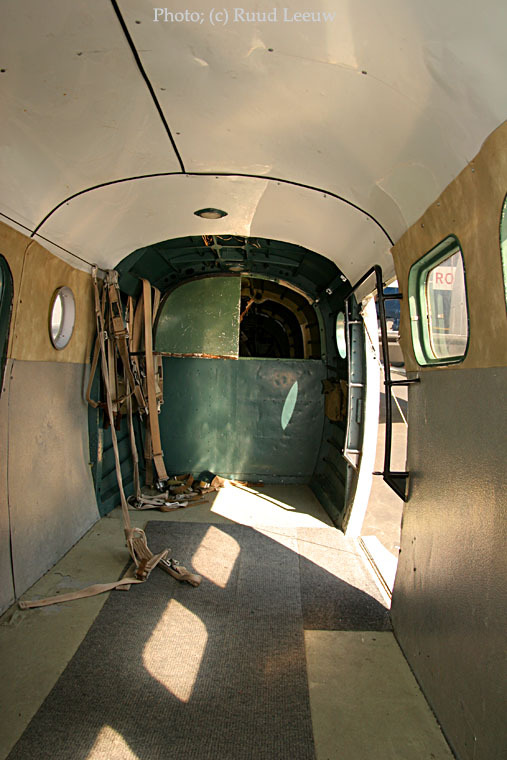 This aircraft was donated on floats, but for the Museum's purposes, it will be restored on wheels. 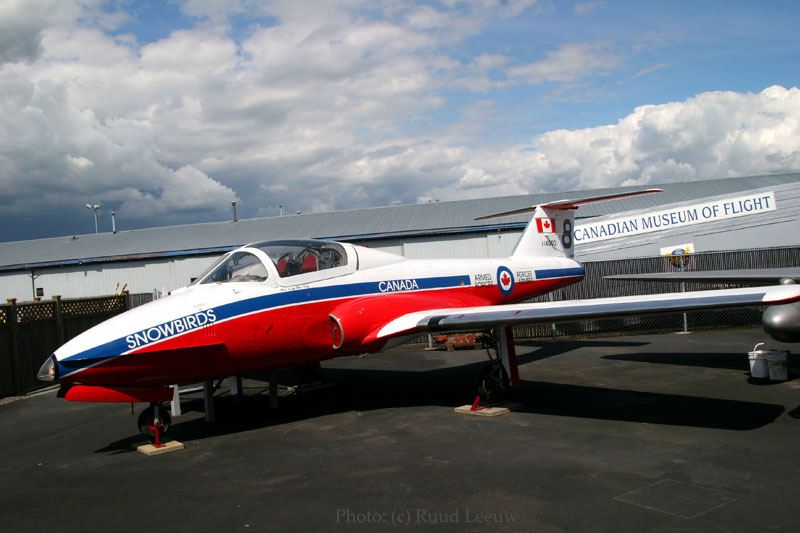 The first test flight in over 30 years happened on February 13th, 2002 after a twenty year restoration done by the volunteers at the Canadian Museum of Flight. 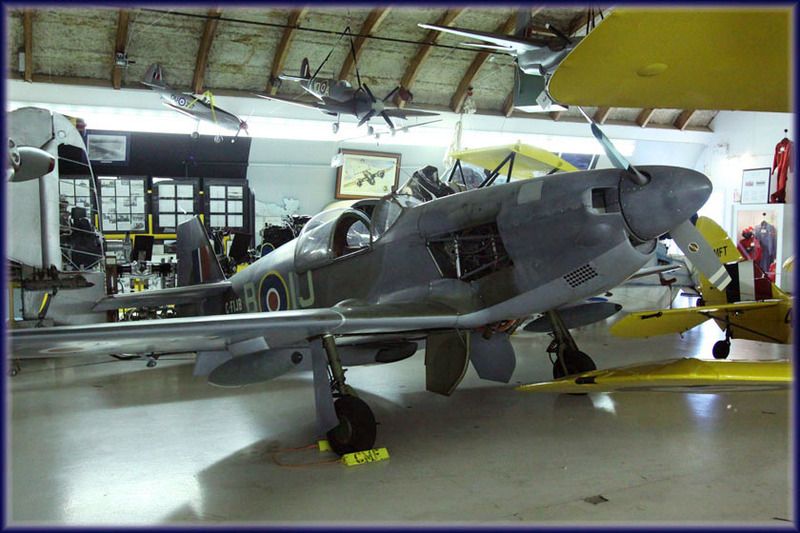 One of the museum's most impressive artifacts is a North American Harvard Mk II, donated by Dr. Gordon Potter. 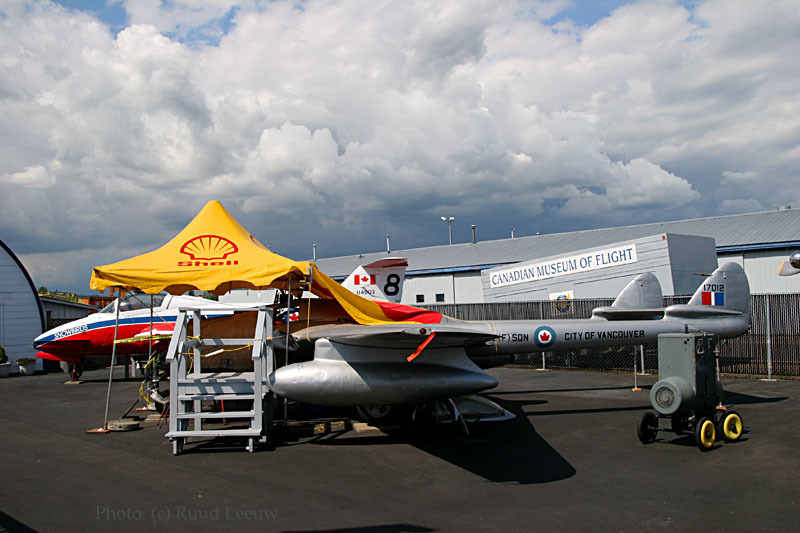 It is one of the Canadian built Mk. IIB models, built by Noorduyn Aviation in Montreal. The original civil registration was CF-MGI for many years. 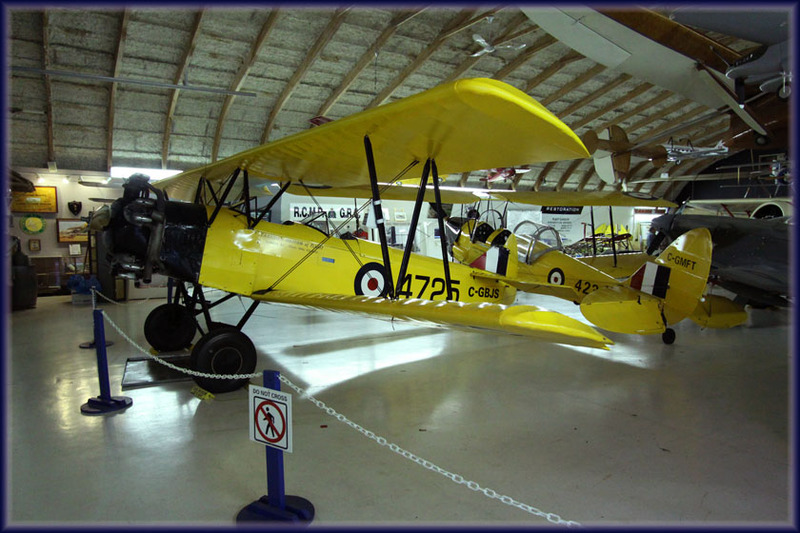 C-FGME has been on Langley field for about 8 years, and Dr. Potter purchased if from previous owner Brian Beard. 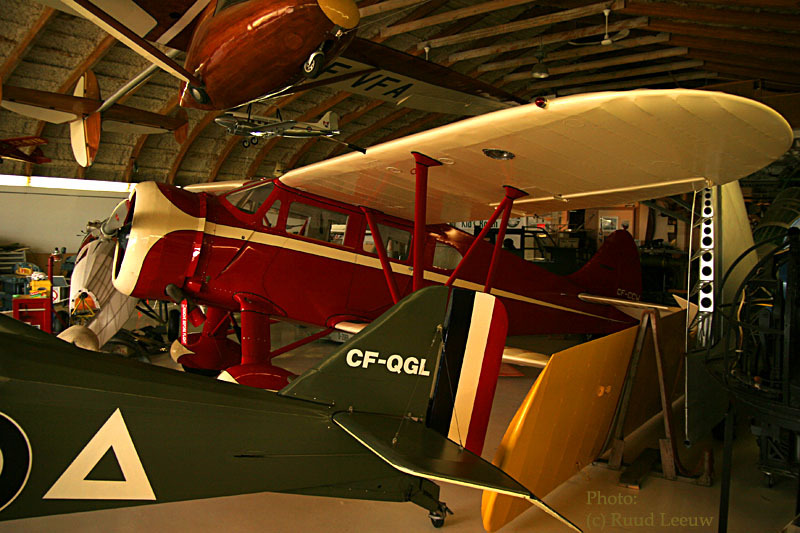 In the mid-1980's the Harvard had belonged to Dr. Rolf Yri who used the call letters YRI. It went to the U.S. for a short time before being brought back to Canada. The letters YRI are still located on the side of the plane. 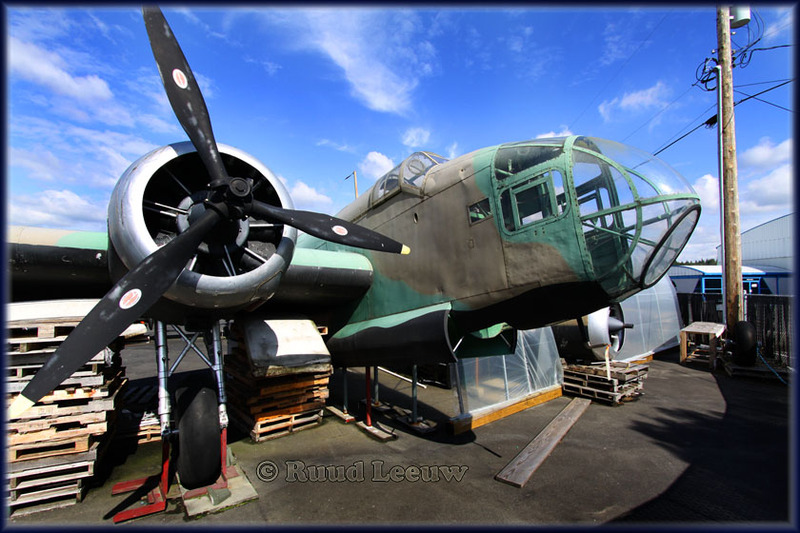 Later this trip I had a brief opportunity to revisit this museum with some new-found friends, but lunch, lovely sunshine and good conversation (much was aviation folklore..) kept me from visiting the exhibits. 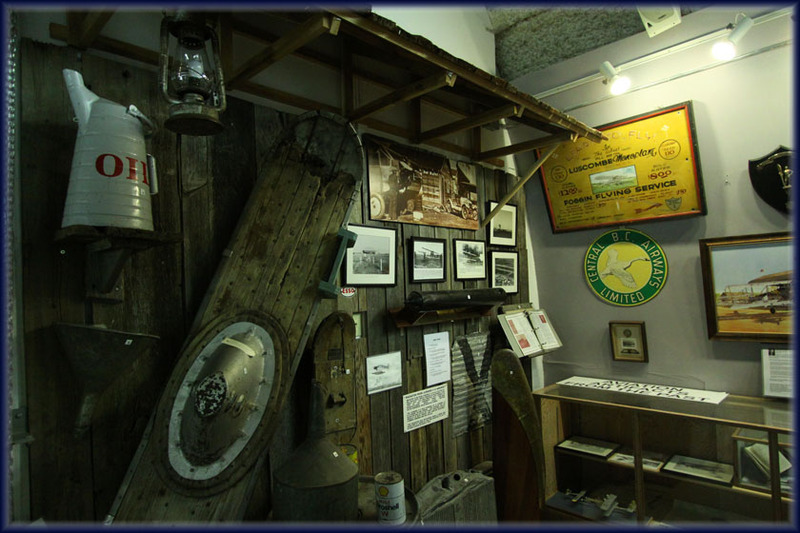 Fond memories are associated with this museum and I am sure I will be back... --> see below! 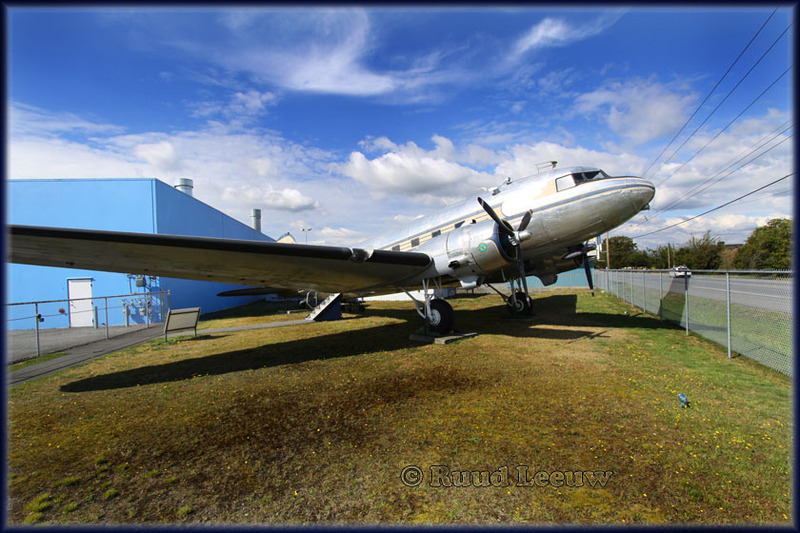 Douglas C-49H CF-PWH (c/n 2198) "Spirit of the Skeena" is still in good shape. John wrote: "This photo was taken at Vancouver, in (I think) September, 1973. 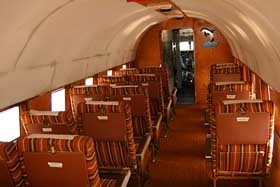 I believe it was being operated by Harrison Air at that time." Beech Expediter 3NMT a CF-CKT (c/n A-782 / CA-180) hasn't changed much either, which is a good thing. 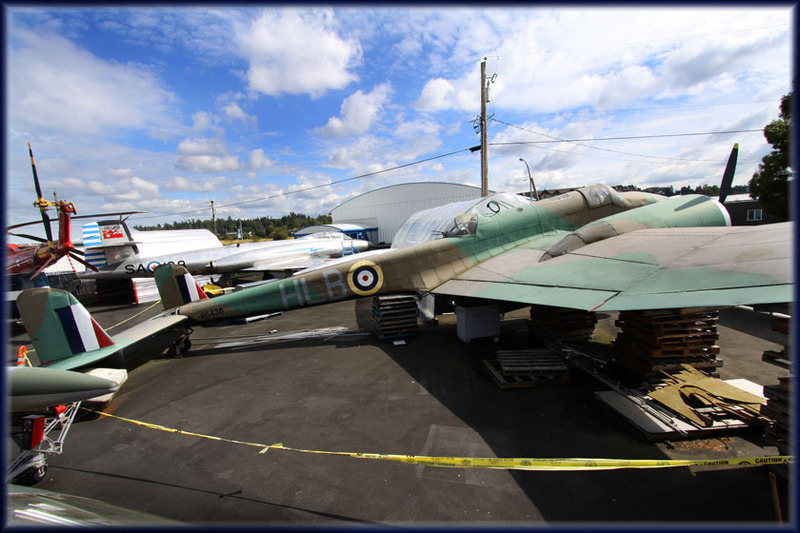 The Handley Page Hampden P5436 is still in stages of restoration, but if one considers P5436 spent more than 44 years in salt water before recovery in the 1980s, you start to look at this project with different eyes. 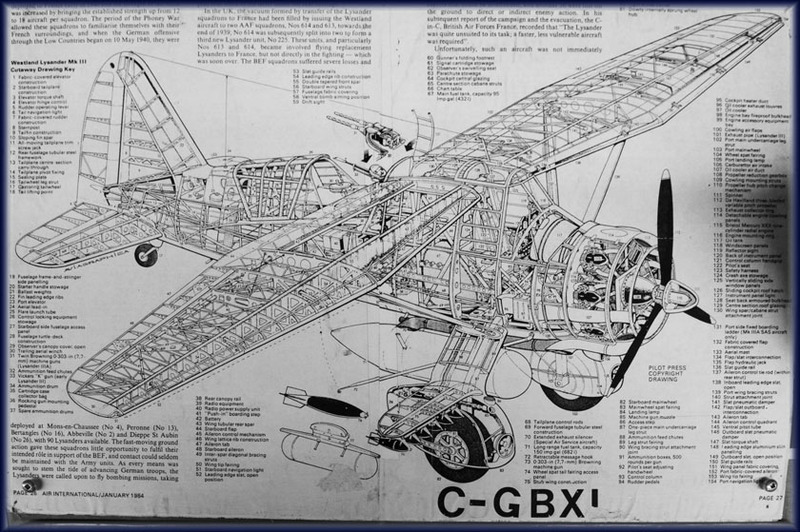 Handley Page developed a modern stressed-skin mid-wing monoplane, powered by Bristol Pegasus radial air cooled engines, with its first flight in 1936. 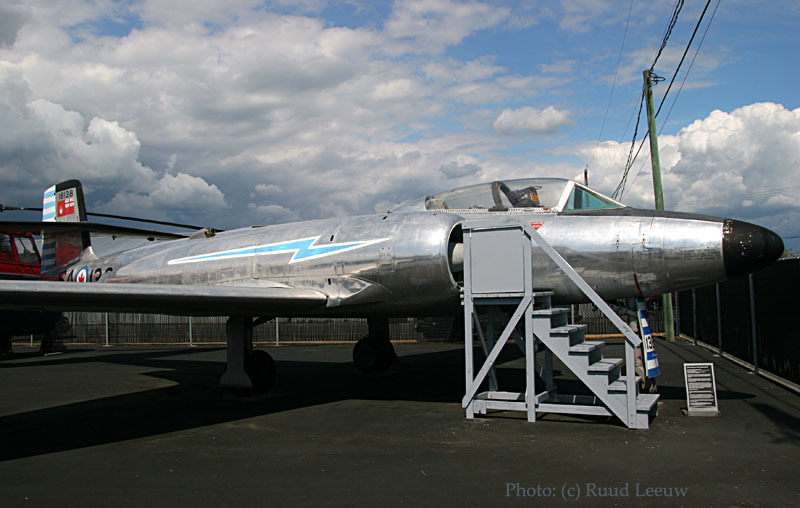 It had the most advanced wings available at the time, giving it a remarkably low landing speed of 73 mph for an aircraft of its size, with a top speed of 265 mph. 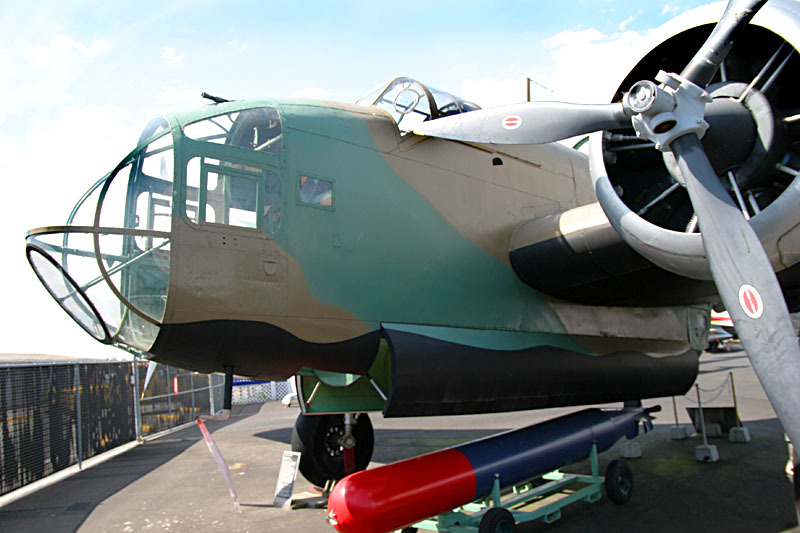 The Hampden went into service in August 1938 with No. 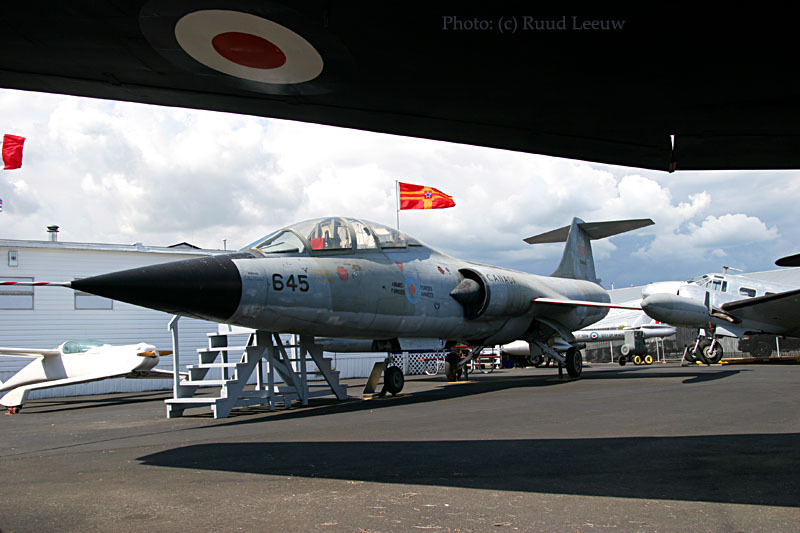 49 Squadron (RAF). 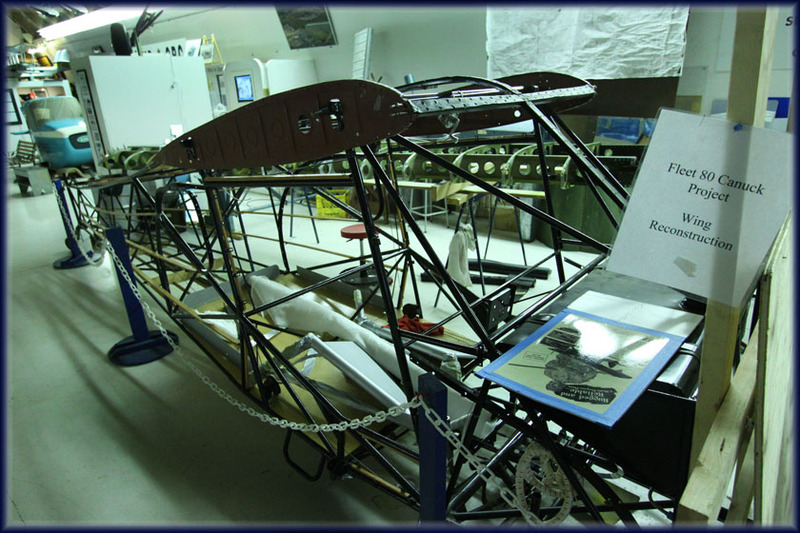 A total of 1,432 Hampdens were built, 502 of them by Handley Page, 770 by English Electric and 160 in Canada by the Victory Aircraft consortium. 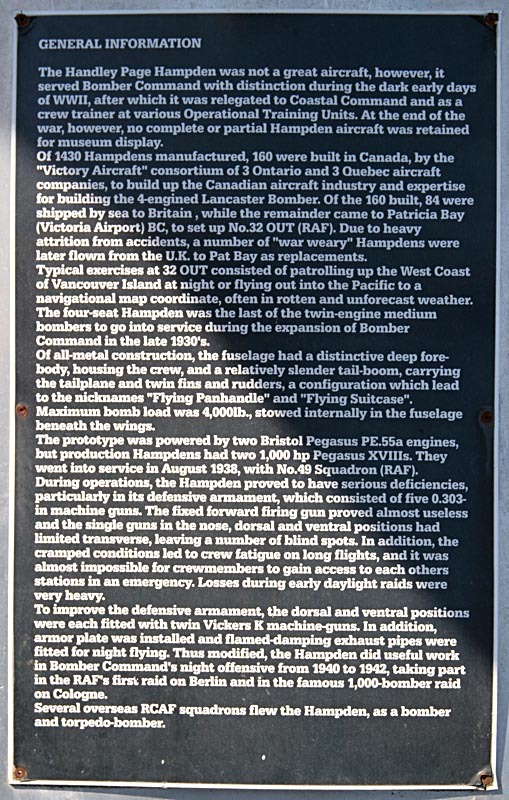 Of the 160 built, 84 were shipped by sea to Britain, while the remainder came to Patricia Bay (Victoria Airport) B.C., to set up No.32 OTU (RAF). 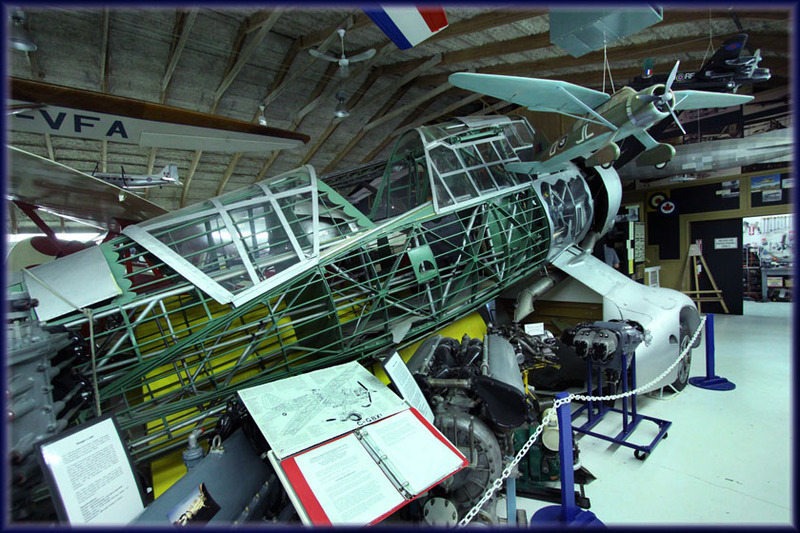 During operations, the Hampden proved to have serious deficiencies, particularly in its defensive armament, which consisted of five 0.303 inch machine guns. The fixed forward firing gun proved almost useless and the single guns in the nose, dorsal and ventral positions had limited transverse, leaving a number of blind spots. 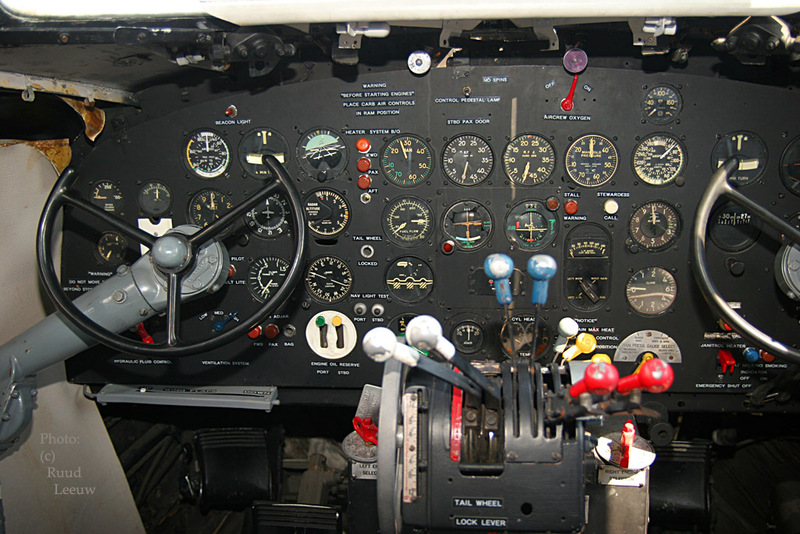 In addition, the cramped conditions led to crew fatigue on long flights, and it was almost impossible for crew members to gain access to each others cockpit in an emergency. Losses during early daylight raids were very heavy. P5436 was one of the Canadian-built Hampdens. 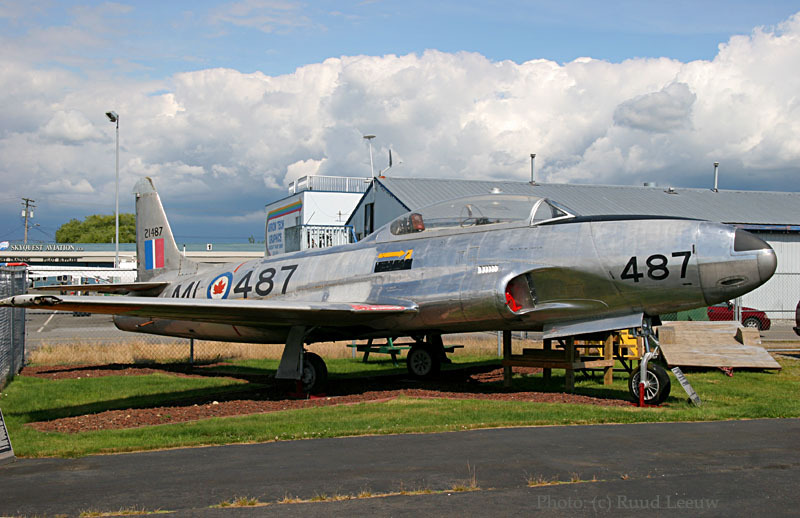 It survived only 100 hours of flying time before crashing near Patricia Bay, on November 15th, 1942. 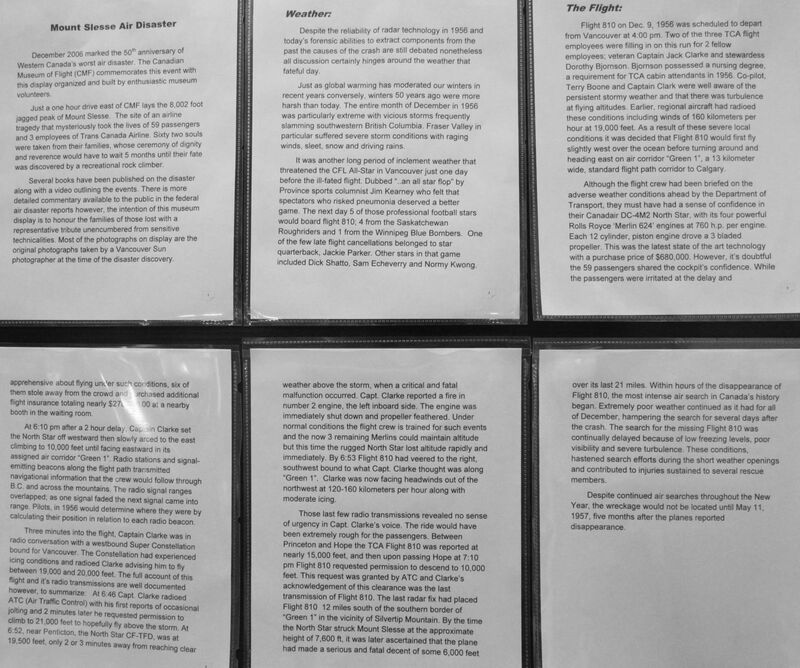 The aircraft quickly sank 600 feet to the bottom. 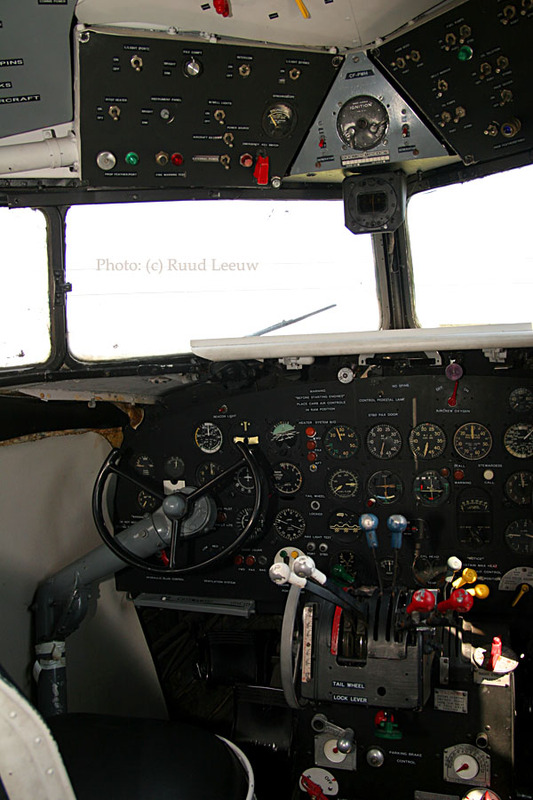 The 4-man crew was more fortunate, as the pilot of a passing Stranraer flying boat had seen the mishap, and they were plucked out of the water, with very minor injuries, within minutes. 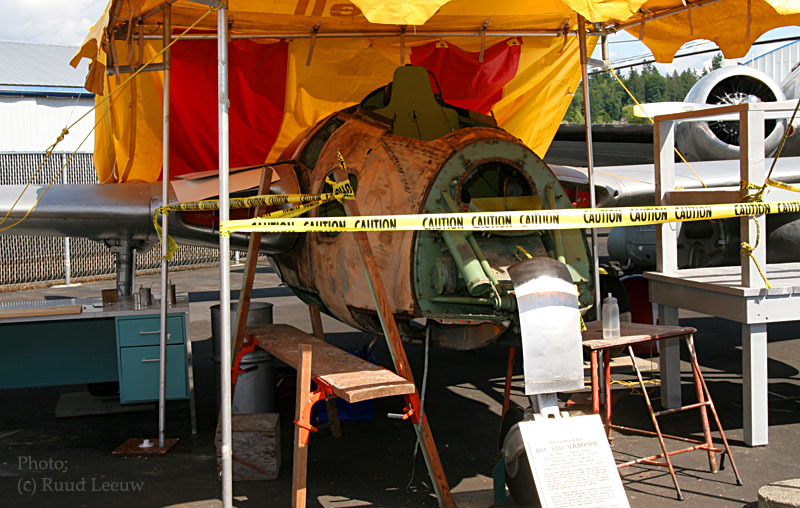 In the 1980's, CMF salvaged the remains of Hampden AN136 from Mt. 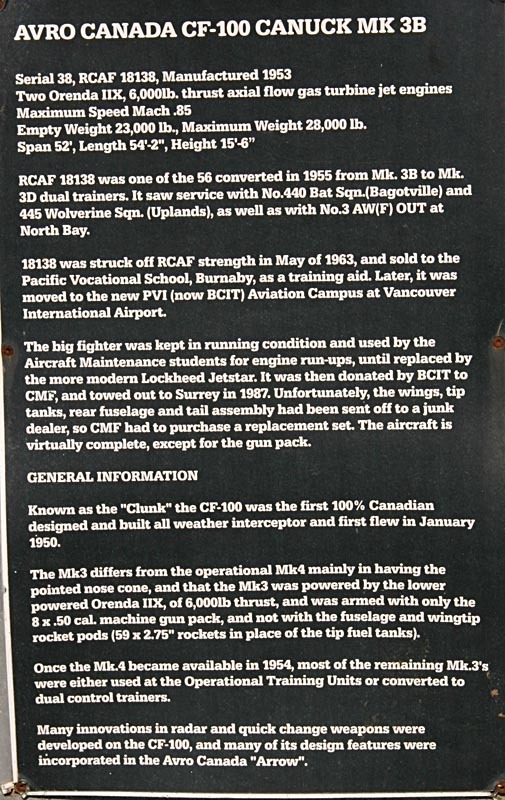 Tuam on Saltspring Island, and a later N132 from a mountaintop near Ucluelet. 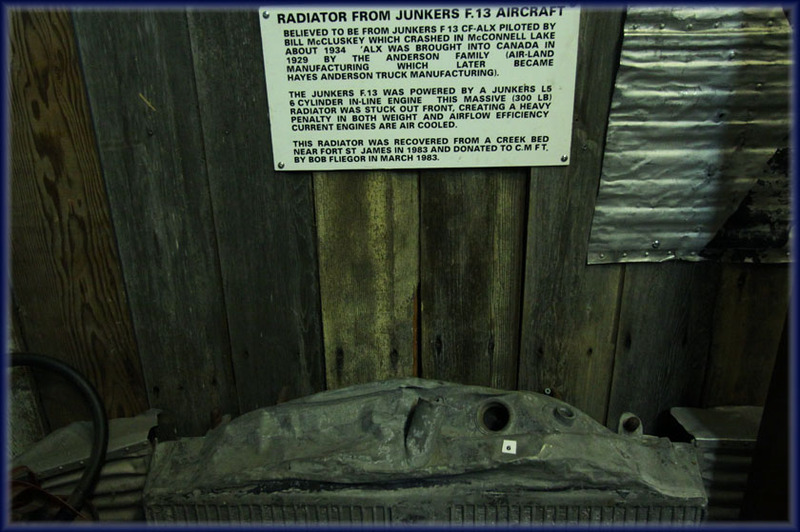 In 1985, some detective work into wartime RCAF files pinpointed the depth of P5436's wreck. The difficult and costly salvage operation was carried out by Jerry Olsen and his crew of C-LOST (Canadian Lake and Ocean Salvage Team), the Thompson Family of Tillicum Towing of Pender Harbour and International Submarine Engineering. 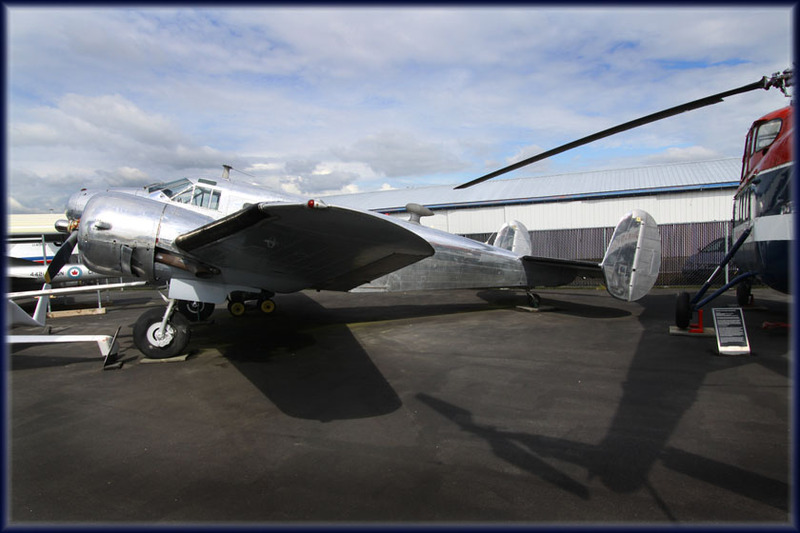 Restoration work was driven mainly by volunteer Fred Gardham, who worked on Hampdens in the local aviation industry during WWII, and who had even logged one flight in P5436 following repairs. 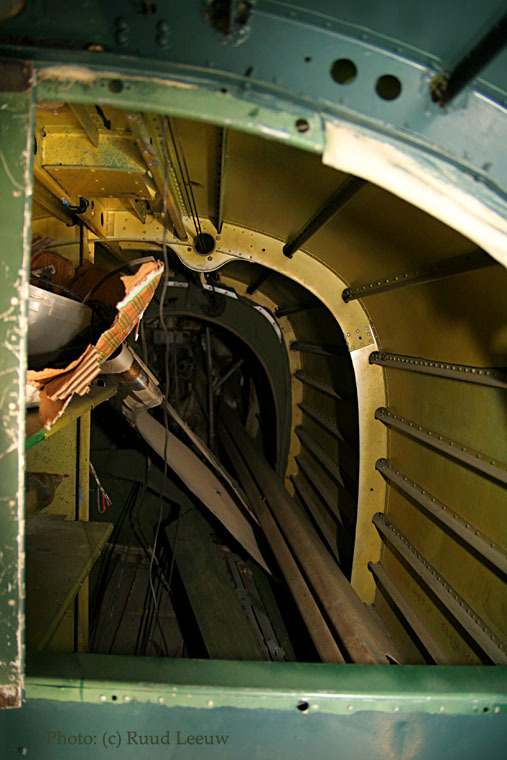 Vital components from the other two Hampden crash sites were used in the rebuild. Manufacturer I.J. (JACK) BAPTISTE in 1981; reg'd to Museum of Flight 08Aug08. 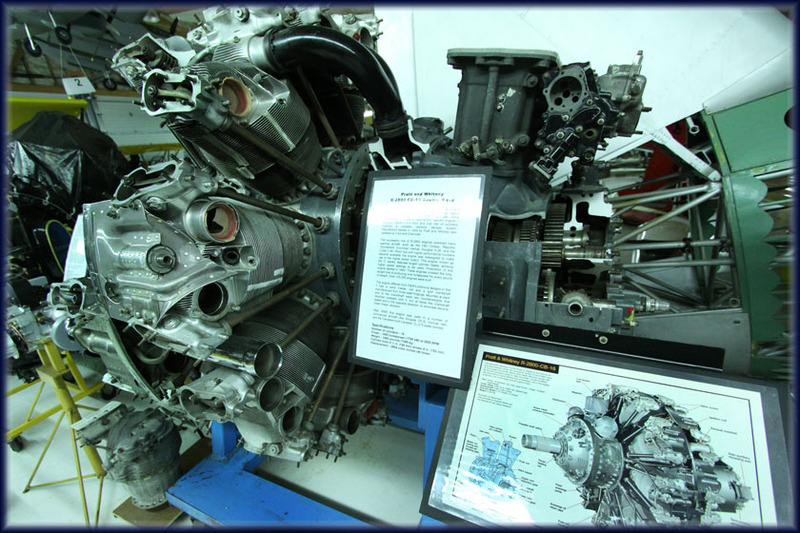 The Pratt & Whitney R-2800 Double Wasp is a two-row, 18-cylinder, air-cooled radial aircraft engine. 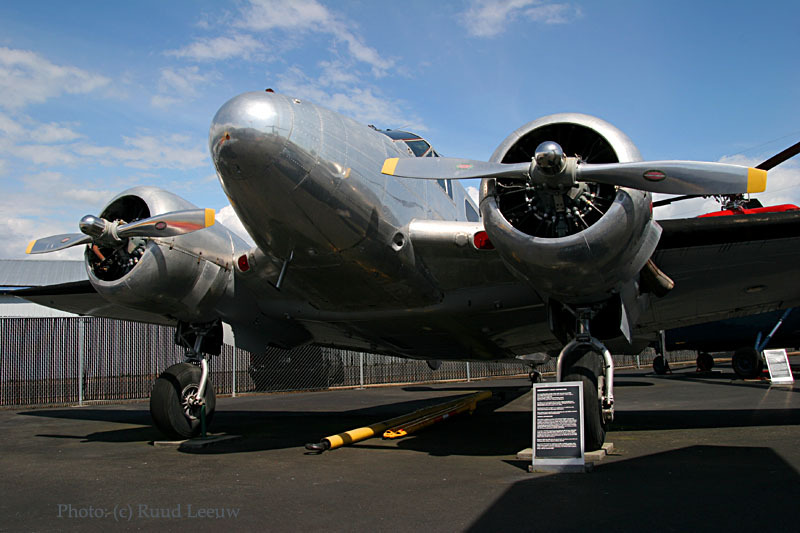 The R-2800 is considered one of the premier radial piston engines ever designed and is notable for its widespread use in many important American aircraft during and after World War II. 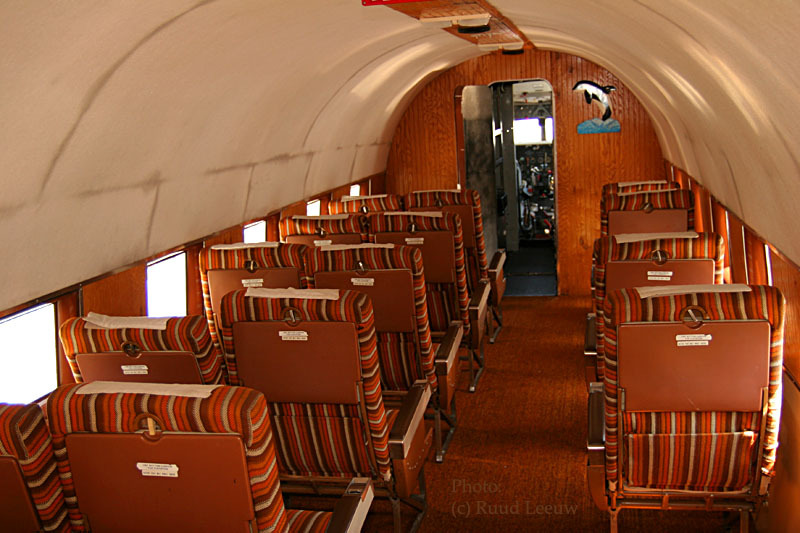 After the war the engine was used in a number of commercial aircraft: Douglas DC-6, Convair 440 and the Canadair CL215 waterbomber. 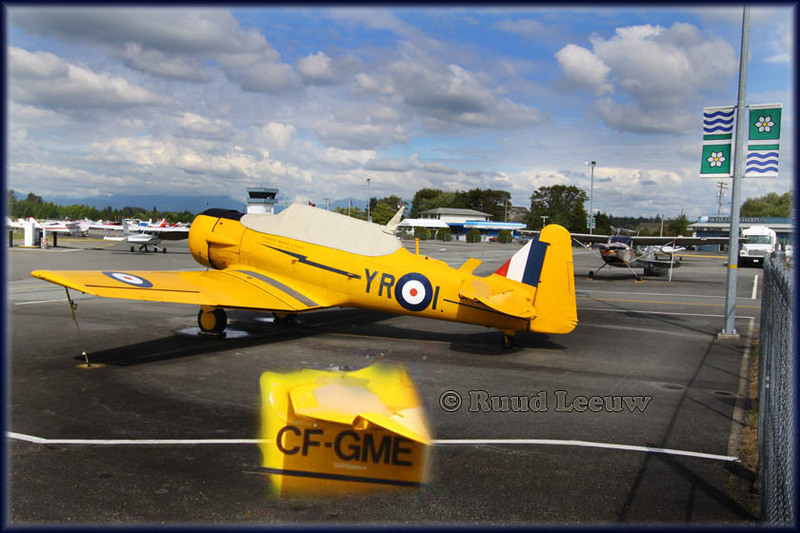 The Harvard 2 CF-GME (c/n 07 144) has the following information on the Transport Canada website: Manufacturer: Noorduyn Aviation Ltd. in 1941 - Type of Registration: Private - Owner Registered Since: 1996-10-17 / Latest Certificate of Registration Issued: 2003-10-10 and Owner's Name: Canadian Museum of Flight Association. 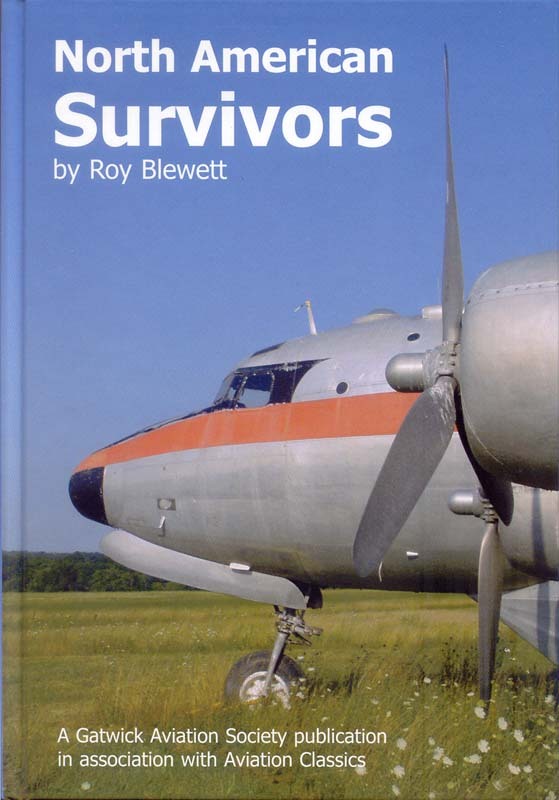 "North American Survivors" by Roy Blewett (Gatwick Aviation Society, 2005) is an excellent handbook to take out on the road or use at home as a reference guide. 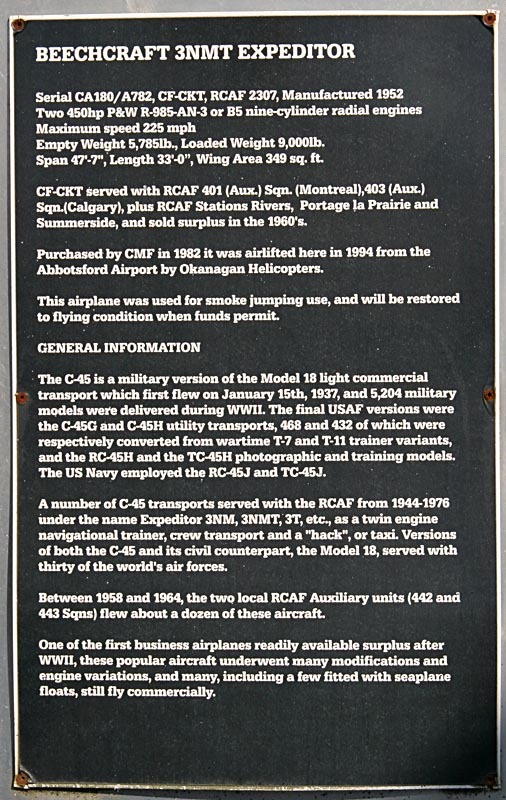 It offers status and information on vintage transports (both propellor and jets) and are listed by Canadian and US States; there are three appendixes covering aircraft in Mexico, a listing of extant Beech 18s and “US Army Air Force Skytrains and Skytroopers; where are they now?”. The book is in easy to use A5 format and fits easy in any size of bag. 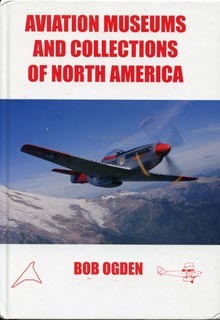 The 358 pages offer a huge amount of information and is of great use in planning a trip to N.America. I hope others will follow in the example set by this book. 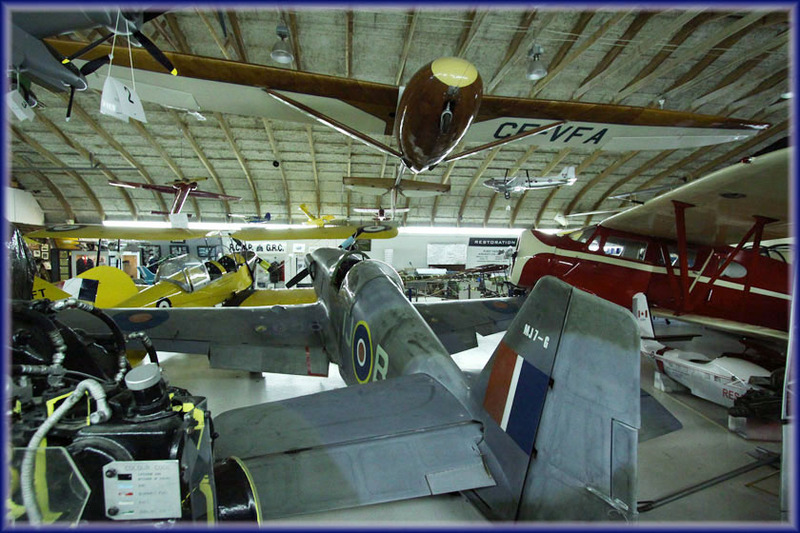 It is also extremely helpful to catalogue your photos when you return home with photos taken at aviation museums.